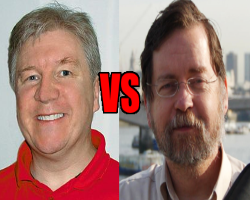 The atheist community recently erupted when Atheist Ireland publicly issued a letter of dissociation from atheist blogger PZ Myers over some comments he recently made concerning a speech by Ayaan Hirsi Ali. The real issue is the cult of personality that seems to infect people like Atheist Ireland chair Michael Nugent who is more interested in being a fanboy of some famous atheists and protecting them when they are called out for doing or saying stupid stuff. 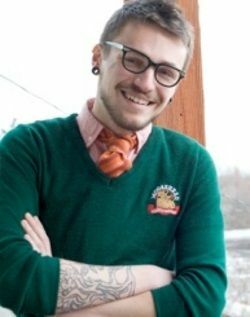 This entry was posted in Humanism and tagged assholes, atheism, feud, Michael Nugent, misogyny, PZ Myers, social justice on April 11, 2015 by Doug. I remember the time when I revealed to my family I was a Humanist. It was at our family Christmas shindig. I wore my Humanist Community T-shirt. My Grandma asked me if I was a heathen and some cousins asked how could I celebrate Christmas if I was an atheist. Holidays may have strong religious ties but atheists can enjoy them if the believers work a little harder to include us. 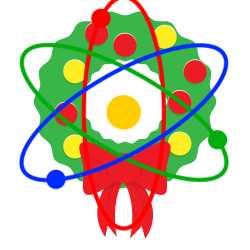 This entry was posted in Culture, Humanism, Religion and tagged atheism, Christmas, family, inclusive on December 24, 2014 by Doug. A new book titled ‘Atheist Mind, Humanist Heart: Rewriting the Ten Commandments for the Twenty-first Century‘ by Lex Bayer and John Figdor, included a set of 10 ‘non-commandments’ for the non-believer. The authors also held a contest to crowdsource an alternative set. I was pleased that I agreed with a majority of the items judged the winner. 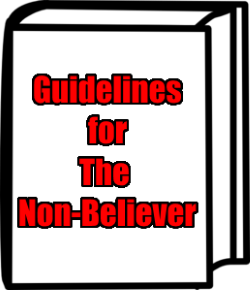 They are good guidelines for living as a non-believer. This entry was posted in Culture, Humanism, Religion and tagged atheism, Atheist Mind, crowdsource, Humanist Heart: Rewriting the Ten Commandments for the Twenty-first Century, John Figdor, Lex Bayer, life lessons, morality, secular humanism on December 21, 2014 by Doug. For some years there has been a faction of atheists who use their atheism to be bigots. When asked to take some action on social justice issues like feminism or racism, some of these atheists go out of their way to ‘prove’ why their lack of values causes them to either ignore social justice issues or to support the status quo. 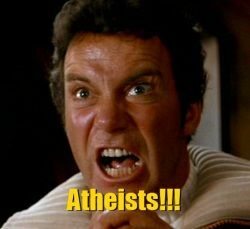 Activist and blogger James Croft calls out these bigots and makes some great points why atheists shouldn’t use their atheism a cover for their bigotry. This entry was posted in Humanism, Politics, Religion and tagged atheism, bigotry, Feminism, James Croft, racism, secular humanism, social justice on December 9, 2014 by Doug. If Just 1 In 8 Atheists Are Like Chris Stedman, Who Speaks For Atheism? Yesterday, my Facebook feed included a link to another article by Chris Stedman that attempts to make me feel bad because I don’t love religion. He uses a point made by another writer that actually doesn’t support his conclusion. If he thinks a study proves that some atheists, like Christopher Hitchens, don’t speak for all atheists then he needs to include all the information – that atheists like Chris Stedman also don’t speak for all atheists. This entry was posted in Humanism, Religion and tagged atheism, Chris Stedman, cooperation, Dale McGowan, honesty, interfaith, interpath, non-belief, social justice on September 27, 2014 by Doug.